Home > Blog > The rain never came….! A great morning walk with Holly, Ivy and Boris (the Vizsla), Herbie (the lab), Kellie (the spaniel), Vito (the wolf) and Coco (the maltese cross). Vito and Boris did enjoy a fair amount of “rough” play, but at least it kept Vito out of the mud! 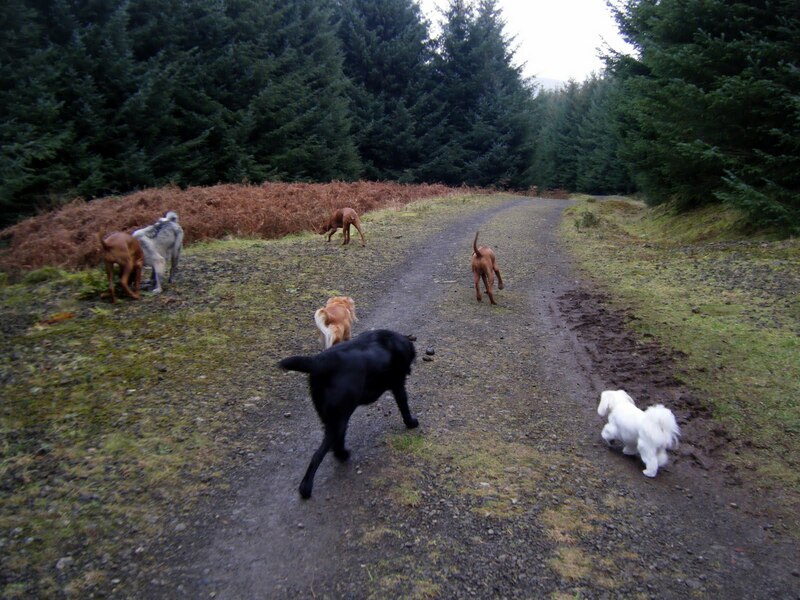 This afternoon I walked with Skye, Buddy, Jude, Zola, Riley, Kellie and new girl Rio who had a breakthrough today by just bouncing into the van – yeah! Most dogs are a little strange with the van to start with, but it isn’t long before they realise that they are going on a great walk – and then I can hardly get the van door open as they are desperate to get in! !